Hailing from Tasmania, Rodney began his finance career in 1992 at a small local bank before relocating to the big smoke to work at NAB and Canon Finance. 20 years later, his transition to finance broking came naturally in 2012, and 3 years later he joined QPF to specialise in finance for concrete trucks and road transportation. When it comes to securing the sharpest pricing, Rodney’s attention to detail and competitive attitude are a winning combo. His motto is “Practice makes perfect, but perfect practice makes perfection”. 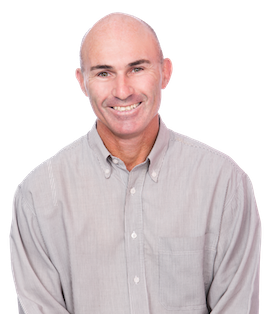 As our resident athlete, Rodney regularly competes in triathlons, plays hockey and is an official at Queensland Athletics and Little Athletics. He looks forward to holidays in Fiji with his wife and 4 kids, for a bit of food, fishing and Fijian hospitality. Rodney began his finance career in 1992 at a small local bank before relocating to the big smoke to work at NAB and Canon Finance. When it comes to securing the sharpest pricing, Rodney’s attention to detail and competitive attitude are a winning combo. His motto is “Practice makes perfect, but perfect practice makes perfection”. What has Rodney recently financed? Thanks Rodney Clarke for all your help with the truck and now the new ute, so easy to deal with and looks after you.